It's Thursday once again and there's a slew of new titles, DLC packs and other digital delights coming to the European eShops. Whether you're playing on 3DS, Wii U or Nintendo Switch, this week's Nintendo Download has it all. Kirby returns for a brand new adventure; experience the heart ache of Last Day of June, use moving trucks as platforms in Clustertruck; and so much more. As always, leave a vote or two in our poll and a comment down below on which games you're downloading this week. Enjoy! 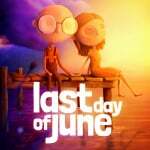 Last Day of June (505 Games, €19.99 / £15.99) - Last Day of June is inspired by Steven Wilson’s haunting song “Drive Home.” Recreated as an interactive adventure, Last Day of June takes players on a profound and poignant journey. Determined to save his beloved and fueled by the power of grief, Carl introduces players to June’s last day. But as they interact with the narrative, players will progress from viewer to a character deeply intertwined in the story. 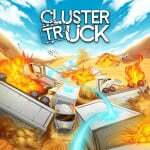 Clustertruck (tinyBuild Games, €14.99 / £13.49) - Clustertruck is a new kind of platformer on-top of a speeding highway! Use agility and acrobatics through insane levels in a game of "the floor is lava" on top of unpredictable, speeding trucks! The game only gets harder when dangers such as swinging hammers, lasers and flamethrowers are added! 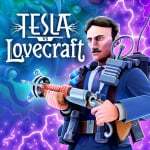 Tesla vs Lovecraft (10tons, €14.99 / £12.99) - Play as the enigmatic inventor Nikola Tesla! Use devastating weapons to mow down hordes of nightmarish monsters, collect mighty powerups to boost the carnage, and finally overwhelm your enemies with the immense firepower of the Tesla-Mech battle robot! Spiral Splatter (Sometimes You, €4.99 / £4.49) - Put your problem-solving skills to the test as you navigate over 100 levels and 11 different stages full of perplexing puzzles. Watch out for moving obstacles as you maneuver through each level. Think fast, if you’re too slow, the ghost may catch up to you. Hustle to reach the finish before your time is up! Gem Smashers (TREVA, €19.99 / £17.99) - Long ago, the Earth was devastated by a fearsome creature: the scientist IMBU and his henchmen robbed the Earth of all its energy and trapped its peaceful inhabitants in sparkling gemstones. Miraculously, three heroes escaped: BAU, BAM and BOM. They became the Gem Smashers – with impressive leaps and quick spins, they skillfully smash the colorful crystals to free their friends. 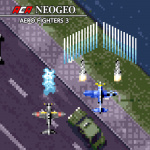 ACA NEO GEO AERO FIGHTERS 3 (HAMSTER, €6.99 / £6.29) - “AERO FIGHTERS 3” is a side-scrolling shooting game released in 1995 by VIDEO SYSTEM. Ten teams comprised of 14 humans and 2 animals have gathered from around the world and are flying on high-powered reciprocating engine planes, such as the ZERO FIGHTER, to save the world. The game offers route selection and multiple endings. BINGO for Nintendo Switch (Starsign, €4.99 / £4.49) - BINGO comes to Nintendo Switch! 4 bingo party games in one pack: Buzzer BINGO, Slide BINGO, BINGO Poker & Classic BINGO! Enchanting Mahjong Match (D3 Publisher, €4.99 / £4.99) - Enchanting Mahjong Match is one of the connecting game classics. The main goal of this game is to connect the identical tiles with lines and remove them from the board. In Enchanting Mahjong Match, The line can change direction only twice. Or less, of course. Also known as Mahjong Solitaire, Shisen-sho, Onet, Lianliankan. Sparkle 3 Genesis (Forever Entertainment, €4.49 / £4.04 until 29/03/2018 23:59 local time Regular price €4.99 / £4.49) - Step into the amazing world of Sparkle and take the evolution into your own hands. Discover a surreal ocean thriving with life, with conditions perfect to grow and evolve. Play as a tiny Spark of life, and start a journey filled with quests and battles against powerful bosses. Collect micro-elements, complete missions and stand on top of the food chain! WorldNeverland: Elnea Kingdom (althi, €29.99 / £26.99) - The kingdom simulating game where you immigrate to an imaginary kingdom and enjoy your free life. This is the latest game of the World Never Land (Nickname is WorNeva) series. This is the imaginary kingdom that lives in the computer. You can walk wherever you wish to go. Beautiful woods, river, farms, stock farms, mines, schools, churches, and castles... And, it simulates the lives of the people who live there finely. Witch & Hero 3 (CIRCLE Ent., €3.99 / £3.59) - To save the lost Little Witch from the Demon Lord, the Witch and Hero must fight together! Witch and Hero 3 is an action game where you control the Witch, Hero and Little Hero at the same time. The two Heroes are physically strong and will keep fighting no matter how many times they're beaten. The Witch, however, is vulnerable and even weaker in stone form; if she goes down the game is over. Shantae and the Pirate's Curse (WayForward, €16.22 / £14.59, pre-order from 13/03/2018) - Pre-Order until 20.03.2018, 00:59 local time Game description: Embark on a brand new adventure with Shantae, the hair-whipping belly dancing genie. When she loses her magic, Shantae must team up with her nemesis, the nefarious pirate Risky Boots in order to save Sequin Land from an evil curse. As a pirate, Shantae gains new weapons to advance her quest, slay monsters, battle epic bosses…and hopefully get her magic back in the bargain! But can she really trust her deadliest enemy? Gal*Gun 2 (Pqube, Regular price €49.99 / £44.99, pre-order from 16/03/2018) - Pre-Order until 13.04.2018, 07:59 local time Game description: The Craziest Shooter Yet! Help swarms of girls escape their demon possessions by using your Pheromone Shot gadget for euphoric exorcisms. And that's it for this week's EU Nintendo Download. Drop us a comment down below on your chosen downloadable goodies, and be sure to add a vote to this week's poll - which games do you think will prove most popular? I already spent a chunk of my salary this week on tabletop games' goodies... And I've still got several Switch games to finish. A rare week that there's no games that are particularly tempting releasing on the eShop. My wallet isn't complaining. 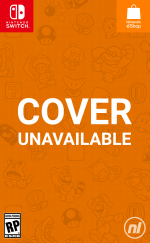 I will be picking up my physical copy of Kirby later though. Oooh, I Am Setsuna at half-price. And a hefty cut on Lost Sphear. 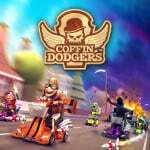 I have about 50p in gold points to use up, before they expire at the end of March. How can I let them go to waste? Might opt for Toki Tori (though I doubt it can compare to the sequel) or Shantae, though. Already downloaded Danmaku Unlimited 3 (awesome) on Tuesday, will get Aero Fighters 3 today. Nothing for me this week. 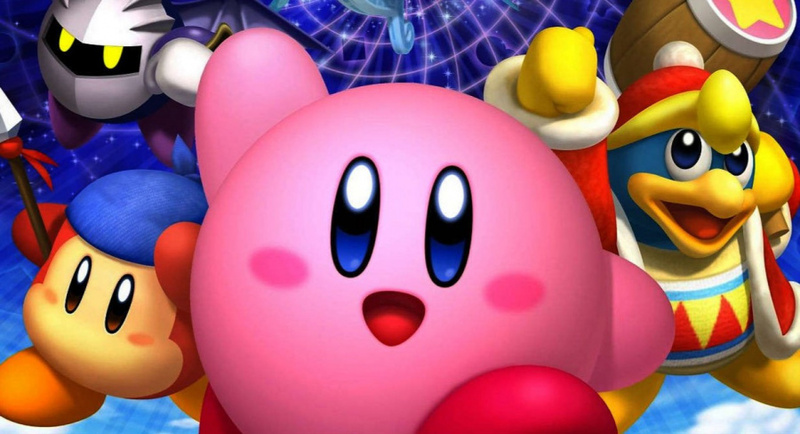 Kirby: Star Allies is not worth €60. I’ll be interested in the review and people’s thoughts on Aero Fighters 3, to help me decide whether to try 2 or 3. Nothing of interest this week. Just bought Aero Fighters 3 from the UK Eshop. I had 290 gold coins so got it for £3.30. I also just bought Floor Kids from the US Eshop which has had a 33% discount. With my gold coins and left over balance I had enough for that and Neon Wall with 1 cent to spare. Just noticed, you don't get your 5% of gold coins for any game purchased with coins. Only 5% of any cash you had to put towards it. So say you have 1000 coins, put them towards an £11 game, all you get is 5 coins. Cheeky buggers. Woah! 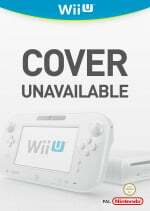 A Wii U release! Another pass for me. Time to work on that backlog this long weekend (Happy St. Patrick's weekend people). @JoeDiddley I've just been playing Aero Fighters 3. The 2nd is definitely the better game. This is the first of me playing the 3rd and while it's good and more of the same, the stages are just far too short. You're at the boss in no time and they don't seem to take any longer to defeat than they did in AF2. AF2 has quite long stages and they're a pleasure to play through. I might pick up I am Setsuna. There has been a few times I have seen it on sale on PC for the same price. The only thing holding me back from getting it right now on Switch is that it is at 30fps. I got Danmaku Unlimited 3 today and it is fantastic. If anyone likes the mobile game Aka to Blue then you will love Danmaku as they are both very similar. Danmaku feels like a modern era CAVE game. Tesla vs. Lovecraft for me. Start to get time for a more fleshed out store with categories! @SilentHunter382 There is no reason for I AM SETSUNA to be 60 fps. Trust me on that. @Cosats At times I can overlook fps on some games like this which is why I am still on the fence of getting it. When did this become such a blatant copy/paste exercise? I used to enjoy the little write ups with NL's take on things. I only need to go on the eShop if I want the text provided here. And I think it is unclear which game most of the Switch DLC belongs with. @OorWullie thanks. I don’t have any schmups on my Switch yet, I plan to get your top 3 from the thread eventually. Pay day seems very far away. Kirby Star Allies all the way! Nothing for me. Even the bigger discounts are on games I'm not interested in. Not complaining - have a lot of untouched games on my Switch! I'm getting Kirby physically, and I have yet to decide if I want Gal*Gun 2 physically on Switch or digitally on Steam. Oh, and don't sleep on Theatrhythm Curtain Call on the 3DS, if you like rhythm games then this game gives you an extraordinary amount of content for only €20! I can't afford any games for the rest of the month after upgrading to the iPhone X. Only game I bought was the Devil May Cry HD Collection. That will last me till payday. 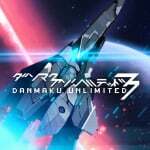 Want to get Danmaku Unlimited 3. 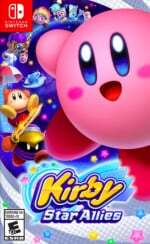 Plan to get Kirby when the price eventually drops. I say go for Toki Tori. I actually thought it was better than the sequel. @Aneira I'm tempted - but I'm not getting anything till after the Nindie Direct now, just in case a surprise must-buy is released.